I’ve been providing historical back-up to an events organisation, Hand Of, who are devising an film weekend to commemorate the fortieth anniversary of the last picture show at the Abbeydale Cinema, Sheffield. Picture House Revival: a Festival of Film takes place on Saturday July 18th and Sunday July 19th 2015, combining films, food, popcorn, ice cream, real ale and a sarsaparilla bar, a recreation of a once much-loved temperance alternative to Sheffield’s pubs: http://www.eventbrite.co.uk/e/picture-house-revival-a-festival-of-film-tickets-17122290231. In fact, the event doesn’t take place on the actually anniversary (which would be July 5th) and it doesn’t reproduce the last picture show (Charles Bronson in Breakout, supported by Lords of Flatbush). Instead, the programme includes the very first film ever shown at the Abbeydale, on December 20th 1920, a costume romance called The Call of the Road, billed as “a picture that will make history”, alongside Laurel & Hardy and more recent Yorkshire favourites, Brassed Off (Mark Harmon 1996) and Four Lions (Chris Morris 2010). It’s a very exciting development to bring back movies to one of the few surviving Sheffield suburban cinemas: https://www.youtube.com/watch?v=EVD7_x3cb1w. 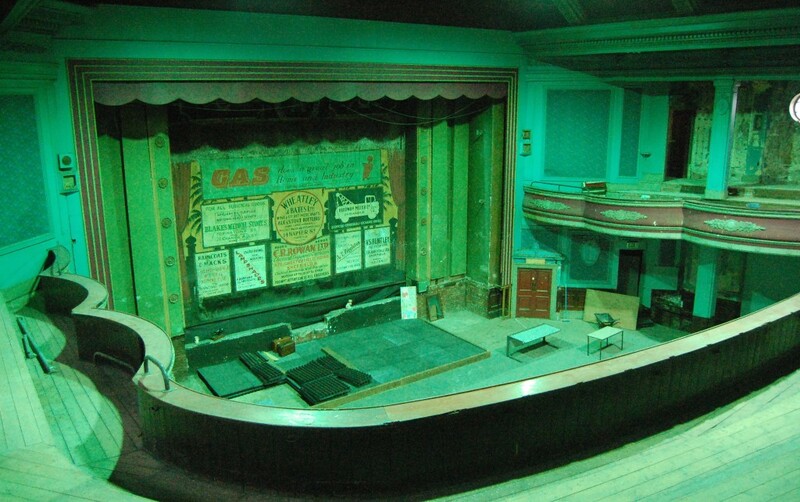 I hope it’ll be the first of many film revivals in the Abbeydale. This entry was posted in Fun Palaces, Life-enhancing experiences, Sheffield's Heritage on June 30, 2015 by Mike Higginbottom. Solomon R Guggenheim (1861-1949) was a younger son of the mining magnate Meyer Guggenheim (1828-1905) and the founder of the Yukon Gold Company. He collected modern art and displayed his paintings at his apartment at the Plaza Hotel in New York City, until the collection became so large that grew into the Museum of Non-Objective Painting, which opened in 1939. 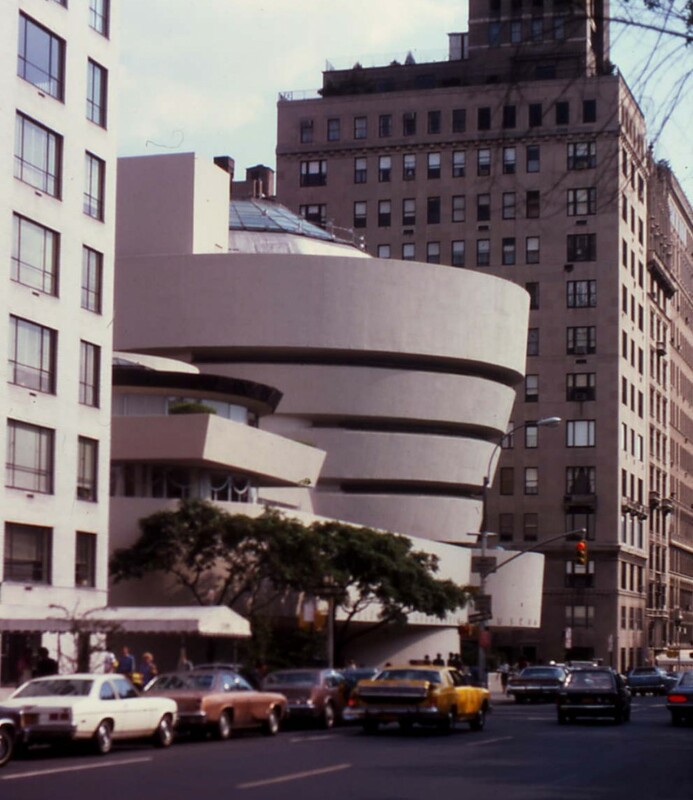 In 1943 he commissioned Frank Lloyd Wright’s only New York building, the Solomon R Guggenheim Museum [http://www.guggenheim.org], which eventually opened in 1959 – after the deaths of both the founder and the architect – at 1071 Fifth Avenue at 89th Street in the midst of the city’s Museum Mile. There it sits, looking as if it’s landed from outer space, a deliberate challenge to the rectilinear patterns of the streets and the buildings around it. Frank Lloyd Wright would rather have built it elsewhere – not in New York City, which he disliked – and chose the Fifth Avenue site because of its proximity to Central Park. The spiral shape reflects a nautilus shell, and the divisions of the display areas echo the membranes of citrus fruit. Like most Frank Lloyd Wright buildings, it looks remarkable yet has turned out to be remarkably difficult to maintain, and it’s undergone a series of repairs and renovations. Though its aesthetic appeal is a matter of taste, there is no denying the impact of this sensuous, swirling structure. Its practicality can best be appreciated by taking the ovoid lift to the top and following the gently graded spiral ramp, which inevitably dictates the order of viewing exhibits, round and round the central space. The peculiarities of its display-space have irritated some artists and, indeed, some curators. It’s impossible to hang a flat painting on a concave wall, and difficult to place a rectilinear canvas on a sloping floor. Others regard it as an exceptional context for showing artworks. Indeed, one of its most memorable exhibitions, Frank Gehry’s The Art of the Motorcycle (1998), was built around an assemblage of 114 historic motor-bikes. The Guggenheim’s eccentricities do not suit all types of art by any means, but the building is a consummate work of art in its own right. This entry was posted in Exploring New York City, Life-enhancing experiences on June 13, 2015 by Mike Higginbottom. You could quite easily spend an entire rainy week in New York working your way round the Metropolitan Museum of Art. 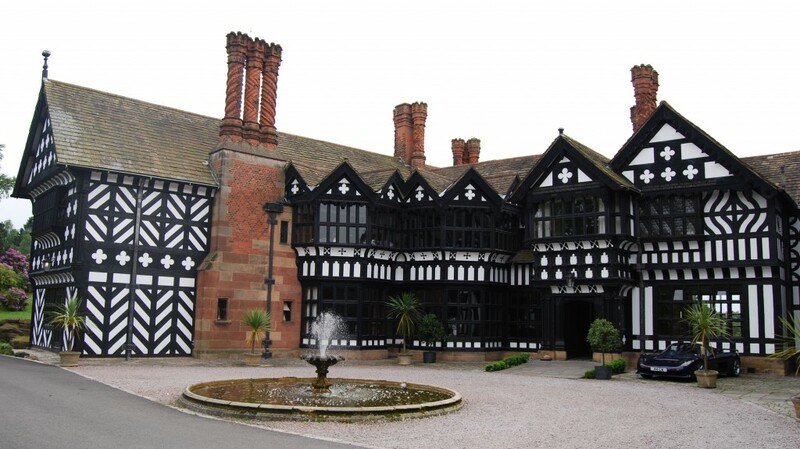 This vast treasure house consists of almost 250 rooms filling something like twenty-one acres of floor-space, roughly two million square feet, and only about a quarter of the permanent collection can be exhibited at one time. The core of the museum was built by the co-designer of Central Park, Calvert Vaux, in collaboration with Jacob Wrey Mould in 1880 to house a collection that had already outgrown two previous buildings on other sites in ten years: long since buried amid later accretions, the original museum has since been extended on at least eight occasions. Among the most memorable experiences the Museum can offer are the 1978 Sackler Wing which houses the entire Egyptian Temple of Dendur and the Astor Court which contains a reproduction of a Ming dynasty Chinese garden. 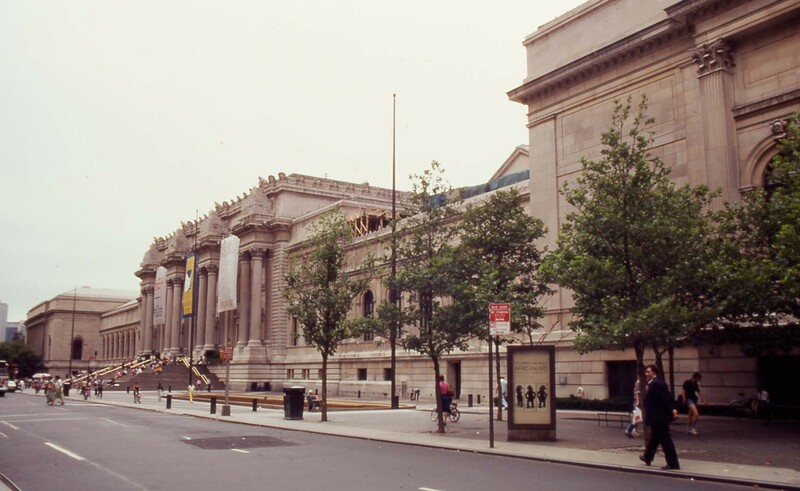 A hint of the wealth of paintings in the Museum’s collection can be found simply by checking the Wikipedia entry’s ‘Selections from the permanent collection of paintings’: http://en.wikipedia.org/wiki/Metropolitan_Museum_of_Art. Whenever you become footsore or simply overstimulated by this great world museum, the consummate life-enhancing experience is the Iris and B. Gerald Cantor Roof Garden, where the memorable views of Central Park and midtown Manhattan compete with the exhibits. This entry was posted in Exploring New York City, Life-enhancing experiences on June 8, 2015 by Mike Higginbottom. There’s a stretch of New York’s Fifth Avenue, bordering Central Park, that’s known as Museum Mile. It’s actually slightly longer than a mile and boasts, in its official definition between 82nd to 105th Streets, nine major city museums, with another couple further along. My personal favourite is actually just outside Museum Mile, at 70th Street. When I first visited New York City courtesy of Freddy Laker’s Skytrain in 1981, I knew only two people who’d ever been there. One was my friend Bill, who had lugged his motorbike aboard a tramp steamer and ridden across the USA both ways, and he made me promise that while I was in the Big Apple I’d go and sit by the fountain in the Frick Collection. This I duly did, and every time I’ve returned to the city I make a point, if possible, of sending Bill a postcard from the Frick. Built in Louis XVI style by Carrer & Hastings (1912-14), this was the town-house of Henry Clay Frick (1849-1919), the unlikeable and notably unpopular chairman of the Carnegie Steel Corporation. After the death of Frick’s widow in 1931 the building was adapted as a museum which opened in 1935. Of all the city’s many museums and galleries, the Frick is intimate and reassuringly calm. The Fountain Court created by John Russell Pope in the 1930s refurbishment must be among the most congenial places to sit and relax in the whole of New York City. The core collection reflects Henry Clay Frick’s personal taste. I remember standing in front of a fireplace, looking at the Holbein of Sir Thomas More on one side and the same painter’s portrait of More’s nemesis, Thomas Cromwell, on the other. There’s nowhere in the world quite like the Frick. This entry was posted in Exploring New York City, Life-enhancing experiences on June 3, 2015 by Mike Higginbottom.